[quote="Amuro Lee"][quote="elaine"]I have one that I just bought from a local. It has none of the markings discussed. Is it real? Did you determine this from the picture or from Elaine noting the missing markings? I wonder if it's possible to determine authenticity by using pictures alone. I currently have an eBay-purchase pending for a (supposedly) original A-Bike. This is the link to the auction: http://www.ebay.at/itm/Orig-A-BIKE-Mini-Klapprad-Faltrad-spez-f-Reisen-/261371520469 (ignore the German description). P.P.S. : Hi everyone, I'm jctan, new to the forum, and possibly new A-bike owner. 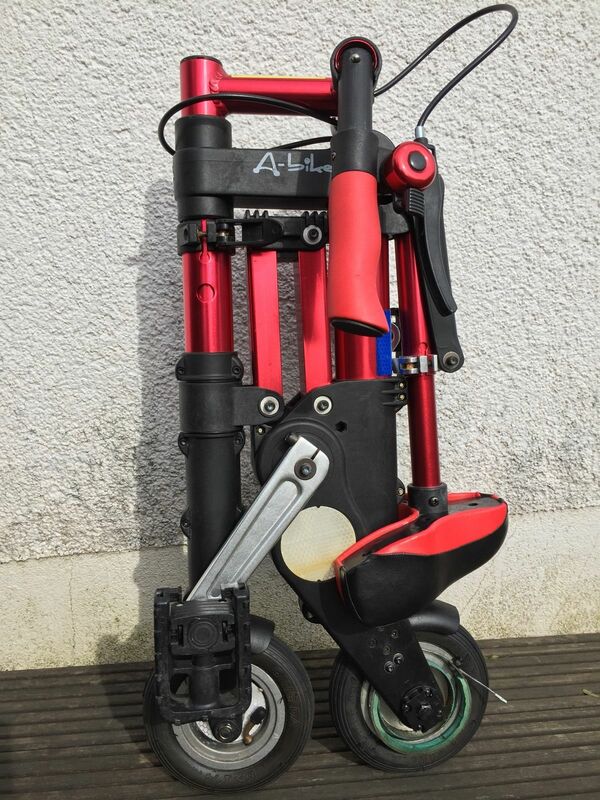 :-) I'm already a Brompton owner but looking for something smaller and more portable. [quote="elucid8"]OK, so I bought an "A-Bicycle" knowing that it wasn't a real A-Bike. My thinking was I didn't want to fork out AU$500 without at least having a test ride. So, I spent AU$70 over eBay. I've read this thread a few times, but no mention of what is physically different between a real and a fake A-Bike? Only discussion seems to be stickers and perhaps build quality, but what are the actual differences in materials & components please? Guest wrote: There's a wholesaler called Lightinthebox who is selling A-bikes at non-wholesale price for $169 USD. Would anyone be able to confirm whether this might be authentic? No, this is definitely not authentic. airness1977 wrote: I don't understand then why the other user of the forum said the "Qing Da" tyres brand were FAKE...? Since the post was posted long time ago, the "Qing Da" tyres were only used on fake A-bikes when the poster said this. The "Qing Da" tyres have been using on genuine A-bikes since the "Plus" version. [quote="Guest"]There's a wholesaler called Lightinthebox who is selling A-bikes at non-wholesale price for $169 USD. Would anyone be able to confirm whether this might be authentic? Well -- I just bought an A-Bike copy with 8 inch wheels off Ebay. It looked very solid and competently put together, until I took it for a spin on a flat bicycle track. The ride (especially with the saddle flexing ever so slightly from the left to the right while riding) felt kind of "wobbly". 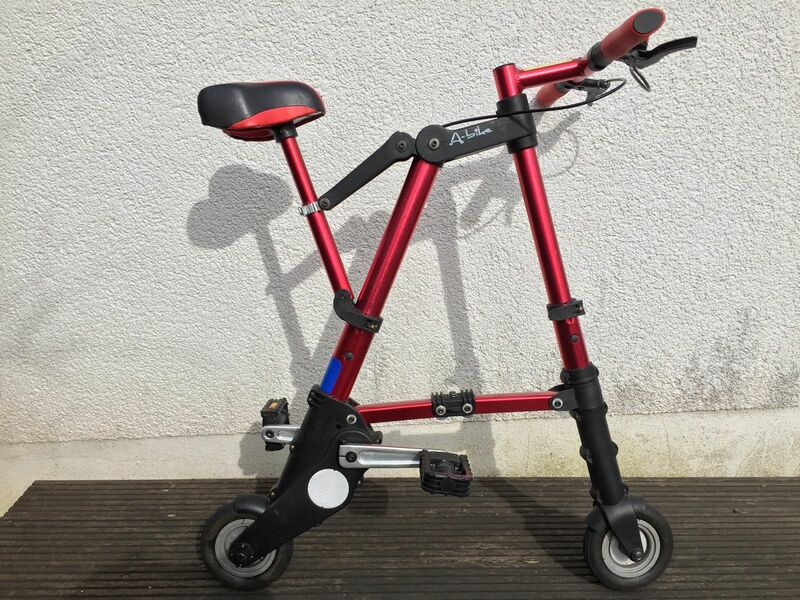 I have never ridden a genuine A-Bike, so can anyone tell me if this is the case with the original A-Bike as well? But more importantly, the angle at which the handlebar post is welded to the handlebar is not exactly 90 degrees, which is something I only noticed while riding the bike. There's a wholesaler called Lightinthebox who is selling A-bikes at non-wholesale price for $169 USD. Would anyone be able to confirm whether this might be authentic?